You have probably heard that our diet is among the most critical factors to our health and cardiovascular system. Cholesterol is a compound that lines the inner walls of blood vessels and gradually reduces the space in which blood can pass. We know this process by the name “blood pressure”. Consequences of high blood pressure are cardiovascular diseases and a real danger of heart attack. High blood pressure results due to other factors, but there is no doubt that cholesterol is the main one. It is said that about 25% of the cholesterol in our body comes from our diet, and 75% is produced inside of our body by the liver. Therefore there will always be people who maintain healthy eating but still have high levels of cholesterol, but don’t under-estimate those 25% that come from your diet. They still play an important role. Even foods claiming to be low in fat can contribute significantly to your cholesterol levels. Many times the wording on the labels refer to the amount for a portion, or for 100 grams or for a pack. But if for example you need to consume 300 grams of this food to feel satisfied, you need to re-examine the meaning of ‘low-fat. At the bottom line, don’t let slogans fool you – check the nutritional values in numbers. Studies have found that increased consumption of soluble fiber, like the one found in fruits and vegetables, by 5 to 10 grams a day, can lead to a decrease of 5% in the level of cholesterol in the blood. 5 to 10 grams is just to add a fruit or a vegetable a day – not a great effort with but with a great benefit. Increasing your fiber intake is also one of the 70 habits featured in my e-book 70 Powerful Habits For A Great Health which will guide you how to take positive steps to improve your wellness and overall health. The recommended daily consumption of cholesterol is 300 mg for healthy people. A single egg contains about 213 mg cholesterol, which leaves almost another available 90 mg. This means you can eat eggs, as they have many health benefits, but you need to plan the rest of your meals accordingly. For example, on days when you eat eggs, reduce cholesterol consumption from other sources. Instead of the usual cereal, prefer to start the day with oatmeal or bran. It is common to claim that breakfast is the most important meal of the day, so you have to give it its proper place. One cup of oatmeal or bran has about 2 grams of soluble fiber and 4 grams of fiber in total. Add pieces of fruit for a sweet taste and your anti-cholesterol breakfast is ready. With a nice amount of soluble fiber, your cholesterol level will remain low. There is a controversy about the role of saturated fats on your cholesterol levels. The medical establishment talks about the great damage of saturated fat that increases the level of cholesterol in your blood. The American Heart Association recommends to limit the amount of saturated fats you eat to less than 7% of your total daily calories. That means, for example, that if you need about 2,000 calories a day, then maximum 140 of them should come from saturated fats. That’s about 16 grams of saturated fats a day. Common foods that contain saturated fat come mainly from animal sources, for example: butter, fatty beef, lamb or pork, poultry with skin, lard and cream. Also pastries and many baked and fried foods can contain high levels of saturated fats. Some plant foods, such as palm oil and coconut oil also contain saturated fats, but don’t contain cholesterol. However newer research claims that it’s true that saturated fats mildly increase the bad cholesterol (LDL), but only the large particles which are not associated with cardiovascular conditions. In any case, eat saturated fat in moderation. Trans-fat exists naturally in meat and dairy products and can be created by a chemical process that converts normal fat to trans-fat. Trans-fat is considered one of the worst industrial fats in general, and one of the main culprits of high cholesterol. Be sure to know the foods you consume and their trans-fat content. Try to remove it from your menu or at least minimize its consumption. Foods containing trans-fat are various pastries containing margarine, but you can check the amount of trans-fat on all food items, as manufacturers are committed by law to report the amounts of fat. Meat is an essential part of many people’s diet, but it should not be exclusive. Beef is rich in fats that raise cholesterol, while fish, such as salmon and tuna, for example, are rich in omega -3 that actually helps lower cholesterol. Therefore, it is recommended to add fish to your weekly menu twice or three times at the expense of meat. It will also diversify your nutrition and help you fight cholesterol. As we know, not all fats increase cholesterol and there are fats that help to prevent its damage and raise the good cholesterol (HDL). Foods such as olive oil, avocado, fish, flaxseed, and nuts contain essential fat to our health such as omega-3. This fatty acid acts, among other things, to lower the amount of triglycerides in the blood and reduces cholesterol. Eat these foods at the expense of foods rich in fats that contribute to bad cholesterol (LDL), and thus you will earn double advantage. Find here more information about the amazing health benefits of omega-3. Palm oil and coconut oil received a good reputation in recent years since they are plant oils, and indeed wrote in the past about the many health benefits of coconut oil. However, it was found that palm oil, for example, has 80% saturated fat. The World Health Organization as well as health organizations of countries like USA, Canada and The UK, began to recommend to significantly reduce the consumption of coconut oil due to the high levels of saturated fat in it. So although coconut oil has indeed many health benefits, you still need to consume it in moderation, and this means up to 3 tablespoons a day. Almonds – the almond skin contains compounds that prevent the oxidation of LDL molecules thereby preventing damage to the blood vessel wall. Avocado – this tasty fruit is rich in monounsaturated fat, and is also found to increase the good cholesterol and lower the bad cholesterol, especially in people with high cholesterol levels. Barley – a study of the U.S. Department of Agriculture found that adding barley to your diet can lower by up to twice the LDL levels. Beans and lentils – another U.S. study found that adding lentils and beans to a diet low in fat enhanced twice its effectiveness. Blueberries – blueberries contain a very powerful antioxidant that can prevent the damage caused by bad cholesterol. To learn more about the amazing healing properties of blueberries, as well as other berries, have a look at my e-book The Healing Berry Guide. This e-book will teach you how to transform your health with berries. Oatmeal – a research conducted at the University of Toronto in Canada found that women who added oatmeal to a heart-healthy diet, increased by 11% the levels of good cholesterol in the body. Alcohol (in moderation) – According to WebMD website, a few studies have found that people who drink alcohol in moderation have lower rates of heart disease, and might even live longer than those who don’t consume alcohol. In particular, red wine may offer the greatest benefit for lowering heart disease risk because it contains higher levels of natural plant chemicals, such as resveratrol, which have antioxidant properties and might protect artery walls. Many believe that the main cardiovascular benefit of alcohol is derived through its ability to raise HDL cholesterol levels. The research evidence points to ethanol, or the alcohol component, of beer, wine, or spirits as the substance that can help lower bad cholesterol levels and increase the good cholesterol. WebMD recommends to choose whichever alcoholic beverage you enjoy, drink it in moderation and try to have it with meals. Please note – it is important to emphasize here the issue of dosage, and if you have any doubt, consult a nutritionist / doctor. These tips are designed to adapt ourselves to a few more habits for improving our health, and as you can see, they don’t require a special effort. It is also advised to start to perform routine cholesterol tests and follow ups from the age of 30. In case of a medical problem, be sure to consult your doctor and adhere to his/her guidelines. Many people ask if there is a perfect method to lower cholesterol levels in the blood. Apparently the correct answer will be a combination of several things together: nutrition, healthy lifestyle, medications (if needed) and nutritional supplements that help lower cholesterol levels, for example those that contain phytosterols which are natural ingredients derived from plants. Many people who have high cholesterol levels take statins which are drugs often prescribed by doctors to help lower cholesterol levels in the blood. While they are effective, they can cause side effects, such as muscle aches, abdominal pain, nausea and/or vomiting, dizziness, difficulty to sleep, diarrhea or constipation and more. Phytosterols are similar in their chemical structure to cholesterol, but they are not produced by the human body cells, and their only source is the food we consume. You can find them in very small quantities in fruits and vegetables, nuts and almonds, and in larger quantities in several types of grains (wheat, rye) and oils (such as sesame oil). Phytosterols inhibit cholesterol absorption from the gut and thus reduce the levels of bad cholesterol (LDL). A study examined the efficiency of phytosterols have shown that as a dietary supplement, they can lower the LDL up to 15%. In addition, taking phytosterols with statins (drugs used to lower cholesterol levels) caused a further reduction of 10% in LDL levels compared with statins treatment alone. Who is suitable to take them? 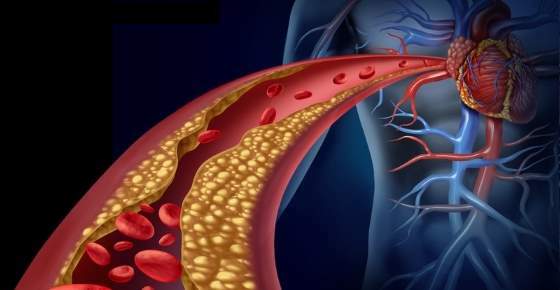 Phytosterols can suit people with borderline levels of LDL, who still don’t receive medications to treat their cholesterol levels, and are interested to treat their LDL naturally. They are also suitable for people receiving medications for lowering cholesterol, but fail to reach desirable cholesterol levels despite taking medications. Phytosterols are considered safe to use, even for diabetics. In any case, you should consult with your doctor before taking them. What is the daily recommended dosage? Studies show that the typical Western diet contains about 150 mg to 350 mg of phytosterols per day. According to world health organizations, the recommended dosage is about 2 grams a day. In the supplement industry there are a few dietary supplements containing phytosterols (like this one). Some contain phytosterols only, while the rest contain other compounds such as omega-3. The problem is that there is a debate over the effectiveness of phytosterols supplements. Some researchers believe that phytosterols found in some supplements may not be effective in lowering cholesterol if not properly prepared by the manufacturer, whereas phytosterols found in foods are biologically active and would be more beneficial in lowering cholesterol. More studies would be needed to support this claim. In any case, phytosterols supplements are considered safe to use with a few side effects. They might, if used for a long time, cause a decrease in the absorption of fat-soluble vitamins such as vitamin A, D, E, and K. It is possible to prevent the reduction of these vitamins by taking a multi-vitamin not close to taking phytosterols, or you can consume a diet rich in these vitamins such as orange vegetables, avocados, seeds and nuts. In addition, there is a rare disease called sitosterolemia and this disease is characterized by increased absorption of phytosterols from the intestine into the bloodstream. In this case you should avoid taking phytosterols. If you want to include phytosterols in your diet, consume healthy foods, including nuts, ground flaxseed, whole grains, vegetables and fruits. Dont buy Palm Oil! Its production is causing the destruction of vast swathes of the Rainforest and the loss of habitat for endangered species like Orang Utans. And from what it says here it isnt that good for us anyway! Boycott cosemtics and toiletries containing it too. Buy coconut oil a big help to the coconut farmers. Unlike many other cooking oils, coconut oil is very stable and can withstand high cooking temperatures. It’s suitable for sautéing, baking, roasting, and even frying. Coconut oil is not very stable and has a smoke point of 177C, causing carcinogenic fumes when heated too high. Avocado oil has a smoke point over 250 C [usually mentioned at 270C] Rice bran oil has a high smoke point at about 250 C and Olive oil starts smoking at 245C, depending on the type you use. Please do not use Coconut oil for high heat cooking. Not sure where that recommendation started a few years back. Sadly it still appears in some posts. There is a need to distinguish between refined and unrefined coconut oil, and this is something I should have done in my previous reply. In my article about cooking with coconut oil, I recommend for cooking, especially frying, to use refined coconut oil which has a smoke point of around 450°F (232 °C), which is 100°F higher than unrefined virgin coconut oil. In moderation, Crystee, and low heat. Most of my pan cooking is done with a few tbs, of water. In West Malaysia, most rubber tree plantations have been replaced by palm oil plantations. Therefore there has been no or not much destruction of natural habitats. And Orang Hutans are not native to West Malaysia. Most Malaysians consume palm oil which is also high in carotene, vitamin E and CoQ 10.